Whether or not you’re into Halloween or in a couple yourself, one thing is for sure: Gay couples costumes are really cute. Yes, they can be eye-roll worthy, especially if you’re single and choosing to sit this Halloween out. Regardless of our own feelings, our feeds are still full of hot gay couples pairing up in looks that are like-worthy. 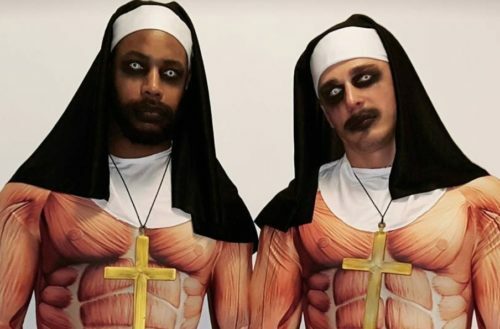 We rounded-up 22 instances where the gay couples costumes are so cute, they’re making us feel even more single than we already felt before. Grab a pint of ice cream and enjoy these couples’ costumes, maybe next year we’ll have a boo to say “boo” with, too. Who knew all you needed for a costume was a harness, workout leggings and police badge? Happy #halloweenie from the Rescue Rangers! We’re loving this cute take on a unique Disney duo that doesn’t get done too much. Why bother being a hero when being the villain is so much more fun? We’ll gladly hold his Poke ball. These two are giving us a reason to pretend we like sports. We’ll gladly explore their 100-Acre Woods any Halloween! Mermaid Man and Barnacle Boy to the rescue! ?? How do we become part of their world? They’re cute, but we feel kind of sorry for (or envious of) their lady friend. 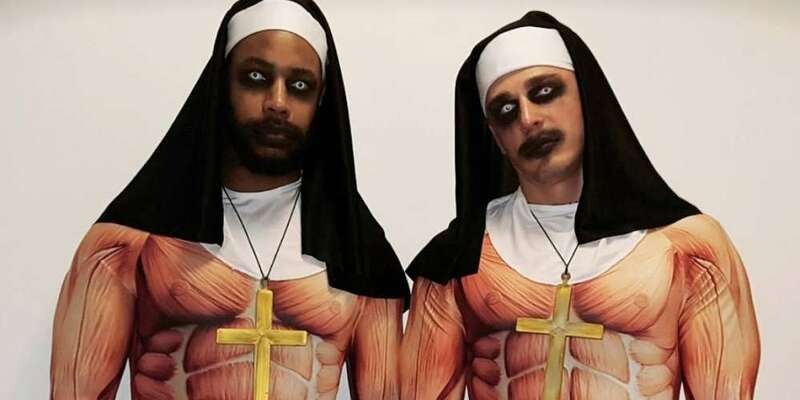 This pair’s costume is from last year, but it’s so good we had to share it.
? #POISONIVY & #CATWOMAN ? #GOTHAM GIRLS ? We’re just scratching ourselves with envy over these dragtastic costumes. An iconic kiss with a gay twist. Happy #Halloween! Half off all nips and tucks courtesy of Dr. Plastic Fantastic is our treat- no tricks! Who said there was such a thing as too much filler? We’re guessing this is a homage to Liza Minelli and we’re here for it! We have no idea what is happening here but they’re gay and famous so we guess they get a pass. With a Taylor Swift reference in the caption? Yes, please! They’re still finding glitter in places they didn’t know existed. Zeus forgot to purchase his lightning bolt ?⚡️?? No worries Zeus… you can hold ours. It’s all fun and games until Batman gets hit with a baseball bat.